Today it seems uncertainty and agnosticism are more valuable than conviction and commitment. It doesn’t matter what you believe as long as you are sincere. The suggestion that a particular faith is the only way to God is synonymous with narrow minded intolerance, fundamentalism or with religious extremism. Many people think all religions lead to God because they assume that all religions are essentially the same when you reduce them to their core beliefs. They liken the religions to different paths up a mountain, believing that as we approach the summit we realise how much we have in common. But this just isn’t true and only shows they have not looked deeply enough at what the various religions teach. If you let each religion speak for itself, you find they differ greatly on the basic concepts-God, truth, reality, the basic human dilemma and the solution to that dilemma. They differ so much that many of their statements contradict one another. For example, God cannot be both personal, as Christians, Jews and Muslims believe, and impersonal, as Buddhists and Hindus believe. Jesus cannot be a false Messiah as Judaism teaches, a prophet as Islam teaches and the eternal Son of God as Christians believe. Those are contradictory statements. According to the rules of logic, contradictory statements cannot all be true. Therefore, all religions cannot possibly be true. It is a logical impossibility. And if they are not all true, and if they lead us in different directions, then not all of them can lead to God. The sincerity of followers is not in question. You can be sincere but sincerely wrong. Many people think that it is intolerant to believe only one religion has things right. But this response shows a misunderstanding of what intolerance really is. Intolerance comes from the word “tolerate.” To tolerate means to allow something, such as a belief, to exist even though we don’t like it or agree with it. Tolerance does not mean never disagreeing with anybody. The word actually implies disagreement. True tolerance means allowing differing views to coexist without necessarily agreeing with them or claiming that all views are true. Therefore, we can hold that one view is true or better than other views without being intolerant or disrespectful. If we were truly intolerant, we would silence other points of view. But merely engaging in persuasive conversation with someone you disagree with is not intolerance. We show more respect for each other when we take our religious claims seriously than when we clothe them in a patronizing cloak of relativism. Ironically, those who claim to take a liberal approach to religion can be among the most fanatical and intolerant of those who wish to practice their faith. There is no contradiction between interfaith dialogue and the proclamation of the gospel. Both are essential. Things only go wrong when we engage in one without the other. Interfaith dialogue should precede and lead to the proclamation of the gospel, if we genuinely care for those without Jesus Christ. Interfaith dialogue is essential if we are to understand where people are coming from, their heritage and values. It is how we discover what we have in common. People do not care how much you know until they know how much you care. If we respect someone we will show an interest in their hopes and fears, their beliefs and values. Interfaith dialogue is also essential in common causes such as defending human rights, fighting anti-Semitism or Islamophobia, as well as campaigning on ecological issues or climate change. We have to work together with those of other faiths if we are to change our world for good. There is no contradiction between dialogue and proclamation. You do not have to choose. As we shall see in Acts 17, the Apostle Paul understood dialogue to be a prerequisite to proclamation. How is Jesus a Unique Saviour? How should we respond to other religions? 1. How is Jesus a Unique Saviour? As Peter asserts “salvation is found in no-one else, for there is no other name under heaven given by men by which we must be saved.” (Acts 4:12). (See also Isaiah 11:1-2; Ezekiel 36:25ff; Jeremiah 31:33-34; Acts 1:8; Romans 8:9; Ephesians 5:18; Colossians 3:12-17; Philippians 4:11-13; 2 Timothy 1:12) Jesus unique in his nature, in his achievement, in his resurrection and in his presence. 2. What does the Bible say about other Religions? 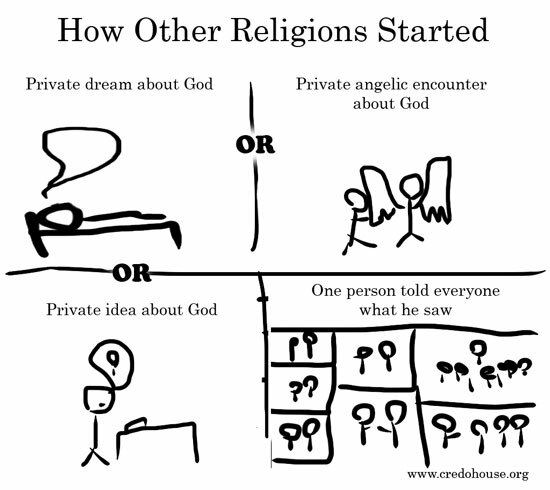 How should we respond to people when they say, surely all religions lead to God? How did Paul respond in Athens when he saw the city swamped by idols and false gods? “While Paul was waiting for them in Athens, he was greatly distressed to see that the city was full of idols.” (Acts 17:16). Michael Green put it this way “Far from closing our options, pluralism allows us to proclaim an undiluted gospel in the public square and in the supermarket of faiths, allowing others the same right. Let the truth prevail and let craven silence be banished.” At best Polytheism can provide a way in to talk about the one true God revealed in Jesus Christ. In his letter to the Galatians, Paul shows that the law is like a tutor, to lead us to Jesus. God says, other religions are worthless, man-made, lead people to self worship and are detestable because they delude, they lead people away from the one true God. The one true God who has revealed himself in Scripture, through history, through the prophets and supremely in and through the Lord Jesus Christ. At best other religions are a preparation for the gospel, they lead people to an awareness of a creator God, a holy God, their own sin and need of a Saviour. That which may be known about God in creation and in the conscience is evident to all people and is sufficient to convict of sin but it is insufficient to save from sin. All people have sufficient knowledge of God in creation and in their conscience to know there is a God and that they are sinners in need of forgiveness. How they hear the good news is our responsibility. 4. 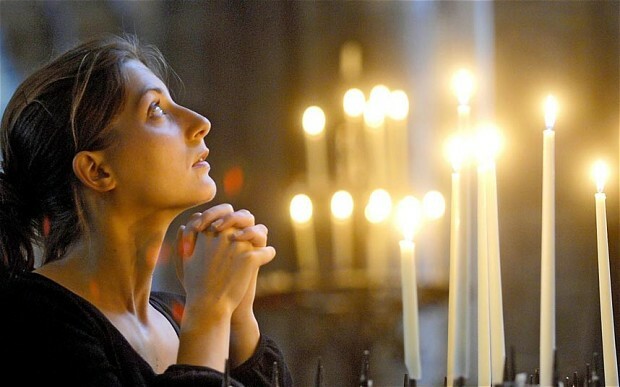 How should we respond to other Religions? All religions agree that mankind is in a mess. The Bible puts it this way: for all have sinned and fall short of the glory of God. (Romans 3:23). We all, like sheep, have gone astray, each of us has turned to his own way; and the Lord has laid on him the iniquity of us all. (Isaiah 53:6). Each religion sets out its own way of rescuing us from this desperate situation. Let us think of the problem as that of a person who has fallen down a deep well. The question is how to get them out. Only Christianity speaks about God becoming a human being to rescue us. 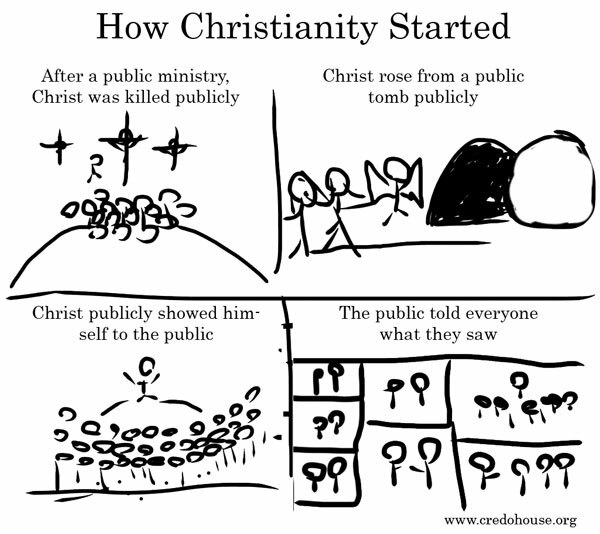 That is why Christianity is unique.How does Jesus, our Lord and Saviour tell us to respond to those of other faiths? How did the Apostle Paul interpret that commission? This entry was posted in Bible, Evangelicalism, Evangelism, Sermons, Theology on January 29, 2016 by Stephen Sizer.